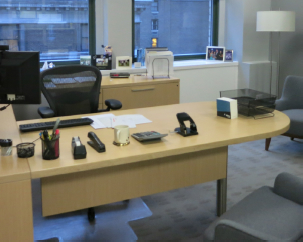 Sublet Office Rental | Park Avenue 45th & 46th Street - $62 per SF. / 5872 SF. 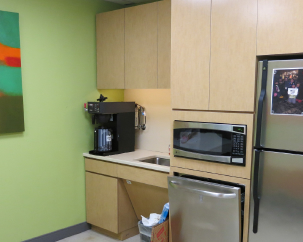 Available Today / Existing installation - the follwoing subleased space is offering the right tenant a 3 Year Lease Term in a Landmark Class A Building. 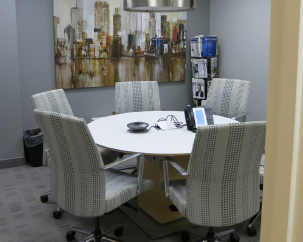 This recently built space contains an above standard office installation that comes with 7 private windowed offices, 3 conference rooms, 8 Work Stations, a Reception and Pantry Area, and is Fully Furnished and Wired for Voice & Data. Moreover the space features Double door Entry directly off the main elevator bank. Additonally the property is a quality owner-occupied building while the space enjoys a strong sublessor. In total this listed office offers you a corporate class landmark building with inspiring interior to match. Located at the gateway to Park Avenue from Grand Central Station, the Landmark Building (known as "the Crown Jewel" of Park Avenue) contains 34 stories of architectural grandeur, of which this property has been extensively renovated, boasting two separate public entrances and a loading frieght area. 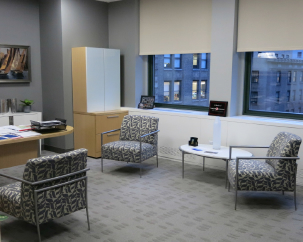 The office tower in which this sublet office stands is located on East 442nd Street at the head of Park Avenue, overlooking Grand Central Station with direct access to the 4, 5, 6, L, subway and Metro North lines. This property also plays host to a number of major corporations from around the world and leaders in all areas of business and commerce! - Lobby features; softly lit travertine floors and walls, pink marble wainscotting, gold leaf chandeliers, bound by Vaulted Ceilings that rise overhead 3-stories! - The building has an entrance to Grand Central Station, where the grand concourse is a mecca of shops, restaurants, banks and a commuter hub. 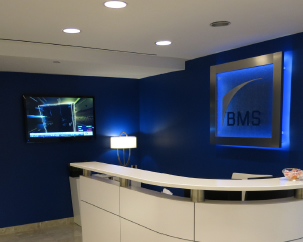 This district is one of the most prestigious commercial real estate markets in New York City with blocks full of class A office space buildings offering space for lease or sublease or executive suites solutions. It is located primarily on 6th Avenue (Avenue of the Americas) and is bordered by Park Avenue to the West, Madison Square to the South and eoncompassed by Midtown. Rockefeller Center, the legendary commercial real estate complex, is located between 48th and 51st streets and Fifth and Sixth avenues. 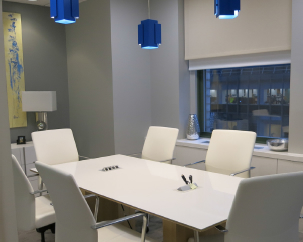 Well known buildings with office space for rent lease, sublease, or sale and great amenities such as 24-hour doorman and access, dedicated elevators, sophisticated reception and conference areas, IT support, impressive views and large windows.